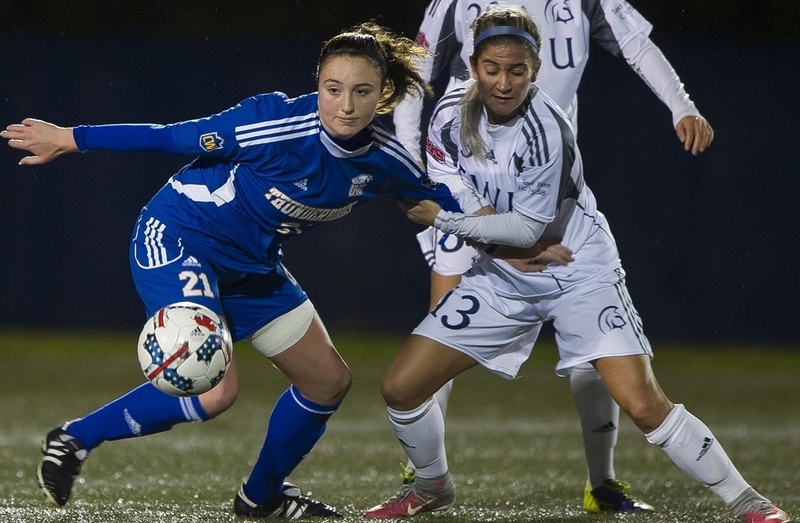 U SPORTS has plenty of historic rivalries, and the UBC Thunderbirds and Victoria Vikes are taking theirs to a new level this year with the Legends Cup. The two schools have decided to bring in a trophy for this year, with their teams from basketball, rugby, field hockey, soccer, cross country and rowing given three points for a win and one point for a tie in head-to-head matchup and the winning school presented with the trophy by the losing athletic director at an awards banquet. Well, the women’s soccer Thunderbirds (ranked seventh nationally in the season’s first Top 10) got that competition started on the right foot, winning their clash with the eighth-ranked Vikes 1-0 Saturday thanks to a 78th-minute strike from second-year forward Danielle Steer. "We have so much respect for UVic. I think every game we have played now has been one goal over the past few years. It's that close. They hit the inside of the post and then we get a goal just on a free kick that we fought through and got. Our games are so close that I think we have to fight for it." This also helped UBC make up for some disappointment last year; they were ranked eighth nationally heading into the Canada West playoffs, but lost to No. 4 Trinity Western in the semifinals, and while they wound up taking third place in the conference, that wasn’t enough to get them into nationals. Meanwhile, the Vikes (ranked sixth heading into those playoffs) finished second in the conference and wound up finishing fifth at nationals. So this was a clash of two very good teams that will likely be national figures again this year, and UBC came out on top. Elsewhere in women’s soccer, the No. 5 Queen’s Gaels defeated the Nipissing Lakers 4-2 Saturday and beat the Laurentian Voyageurs 4-1 Sunday. The No. 6 Western Mustangs beat the Brock Badgers 1-0 Saturday, and the No. 9 Ottawa Gee-Gees picked up a 4-0 win over the Trent Excalibur Saturday and a 4-1 win over the UOIT Ridgebacks Sunday. It was a good weekend for the No. 5 Carleton Ravens men’s soccer team, as they recorded a 3-1 win over the UOIT Ridgebacks Saturday and a 7-0 win over the Trent Excalibur Sunday. On Saturday, Carleton forced UOIT’s Nicholas Miller into 12 saves, faced a 1-0 deficit at halftime, and then received goals from Jimi Aribido, Gabriel Bitar, and Aribido again to pick up the win. On Sunday, Jeremy Aweda had two goals and two assists, Scott Mazzotta had two goals and an assist, and Arbidio notched a goal and two assists. Dario Conte and Joseph Vinson also notched goals in that one. Elsewhere in men’s soccer, the No. 4 Ryerson Rams beat the University of Toronto Varsity Blues 3-1 on the road Sunday, while the No. 7 Guelph Gryphons picked up a 4-0 win over the Laurier Golden Hawks Sunday. Elsewhere in football, Regina Rams quarterback Noah Picton became the first Canada West player (and the sixth U SPORTS player overall) to pass the 10,000 yards mark for his career, completing 21 of 35 passes for 329 yards in a 49-35 loss to the No. 5-ranked Calgary Dinos Friday. Calgary’s Adam Sinagra completed 21 of his 30 passes for 444 yards and three touchdowns in that one. Mr. 1️⃣0️⃣,0️⃣0️⃣0️⃣! @reginarams QB @npicton4 just became the first player in CW history to reach the 10,000 career passing yards mark. Meanwhile, the No. 2 Laval Rouge et Or posted a 47-9 win over the Concordia Stingers Saturday, and the No. 4 Wilfrid Laurier Golden Hawks beat the No. 9 Queen’s Gaels 44-18 Sunday. On Monday, the No. 8 Guelph Gryphons face the York Lions, while the Windsor Lancers host the Carleton Ravens. The big women’s rugby clash comes Monday, with the defending champion Ottawa Gee-Gees taking on last year’s runners-up Laval in a rematch of last year’s title game. 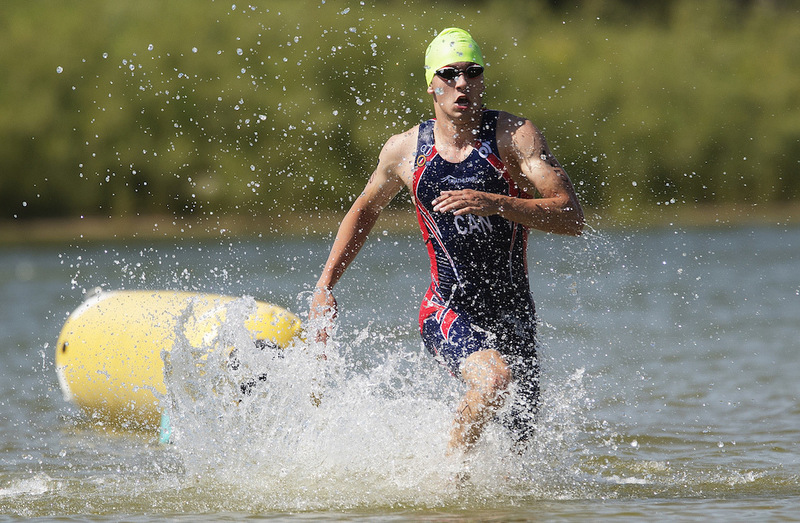 Elsewhere, six student-athletes competed in this weekend’s 2018 World University Triathlon Championship, and Victoria alumnus Aiden Longcroft-Harris stood out. Harris finished 25th overall with a total time of 00:53:22.